Writing posts for your website can be a frustrating task. Finding an audience is a challenge. You might feel your skills aren’t up to the task. Trust in your experience and knowledge of what you write about. Share your knowledge, get your voice out there! Let that be your motivation. If you are still feeling a little unsure how to start, I’ve found a great graphic on smartblogger.com. They have broke down the process of great writing into ten steps. This guide will take you through how to identify a starting point for your blog, choosing a topic, crafting your post to finally promoting it. There’s is a lot of effort that goes into being a successful blogger. It does take time and dedication. Blogging is its own industry for a reason. However, that should not dissuade you from taking on the challenge. There are many ways it can go wrong, but don’t give up. Many well-known bloggers struggled at the start of their pursuit. Mistakes will be made. Learn from them. Most people understand that failures can be an opportunity to grow. Get advice, research, become better. That’s how success happens. I’ll start you off with this piece of advice, until you get an audience blogging may not serve your best interests. Be a guest blogger! Find a blog that covers topics in your area of expertise that already has a large audience and become a contributor. If you follow a blog regularly, make sure to comment often. Get some attention from the blogger. Let them know how valuable you find their blog. Approach them about guest writing a post. It’s a great way to expand your audience. 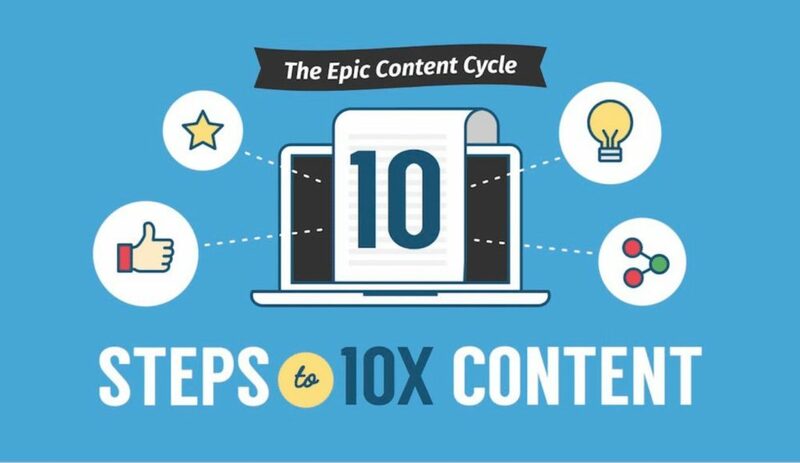 Here’s a handy visual guide to help you get that elusive “epic” content for your blog posts. Following this guideline can help the process of writing for your blog.